Everyone looks for inspiration. Whether it is daily, once a month or longer than that, we all need motivation, and we look to others for said motivation. 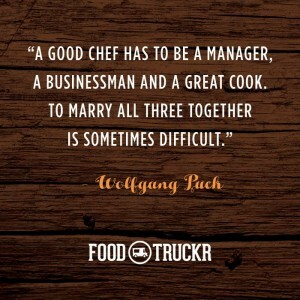 That is why inspiring quotes are so important, especially if you are a food truck owner. Inspiring quotes help us get up in the morning. They help us achieve ultimate success. The best part? Inspiring quotes are all around us, and we will be providing you with a few that will not only help you kick-start your day, but keep you going all week as well. Inspiring Quotes Explained: You need to be you. 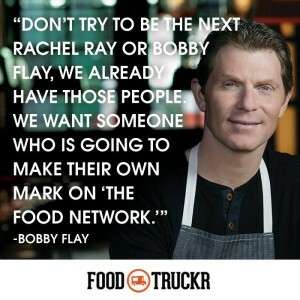 If you want to stick out in the food truck industry, or any industry for that matter, you have to be you. You have to run your business in your own unique way. By doing so, you will be able to stick out. Inspiring Quotes Explained: You have to create your dream and then do everything in your power to make said dream come true. If you don’t follow your dreams, then you will work for someone else who is following their dreams. On another note, there are so many people who have the same dream as you, and if you don’t outwork them (among other ingredients), then they will make that dream come true before you. 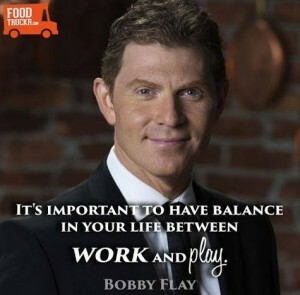 Inspiring Quotes Explained: So many food truck owners enter the food truck industry unprepared. They think that being a great cook and having killer recipes are the only things that matter. While that is a major piece of the food puzzle, a food truck owner also has to be a manager and business savvy. 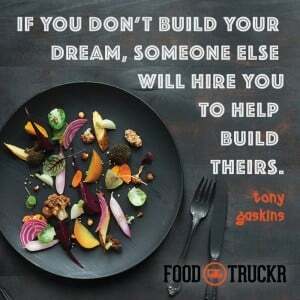 Inspiring Quotes Explained: The food truck industry is not for the faint of heart, and it certainly isn’t a place to get rich quick. If you run a food truck business, then you are going to be working a countless amount of hours each week. That is where work-life balance comes in. If you don’t make time for pleasure, then you are going to get burned out. At the same time, if you are playing too much and aren’t focusing on your business enough, then your mobile kitchen truck will sink. RELATED: Things You Should Never Stop Doing After You Become A Food Truck Owner. 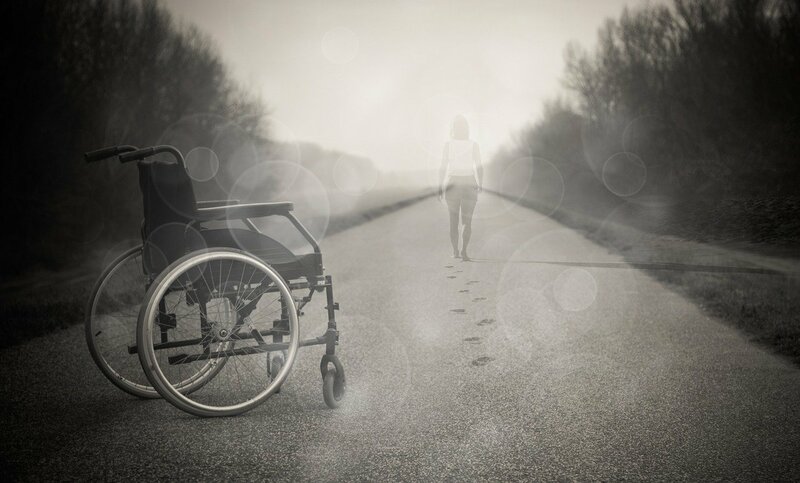 Sometimes, we lose the sight of things because we are so focused on something else. Luckily, it is possible — and rather easy — to get that vision back. 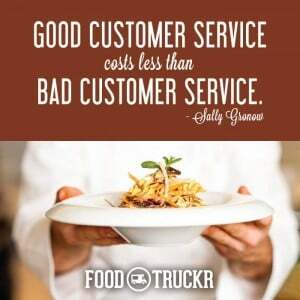 Inspiring Quotes Explained: If your mobile catering business has bad customer service, then you could lose customers. 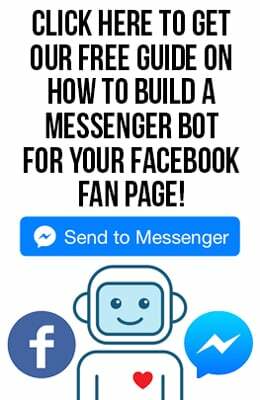 This could also affect your business’ brand. Therefore, bad customer service can actually cost you a lot of money in the long run. Good customer service does not go unnoticed, and it is crucial to incorporate into your business.